May we be blunt? Regular science is boring. That's right. We said it. What's the fun in staring at microscopic organisms all day? Or working out how to make something more energy efficient? Pfft. Lame. Now, if you're into creating brand new monsters, trying to discover the key to mind control, and have maybe made a radioactive death ray or two, well. That's the kind of science we like to hear about. As a matter of fact, we would be proud fans of such scientific work, following your projects avidly. It's about time that the science community got a healthy helping of of crazy back in its blood. And if you're going to try your hand at being a mad scientist, you better look the part. Let's be honest, no one will take your crazy seriously in a simple lab coat. 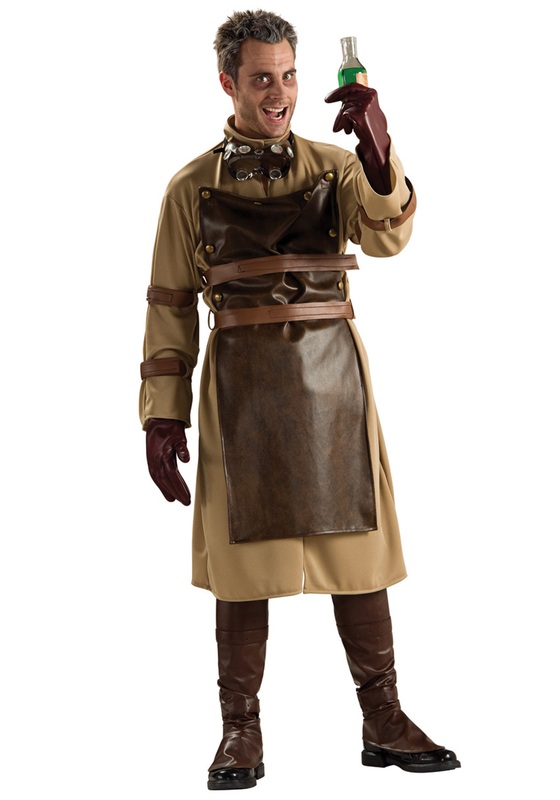 No, you'll need something like our Mad Scientist Costume. 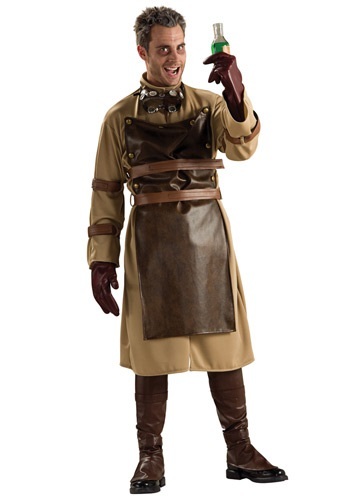 It comes with a tan tunic, a faux leather apron with belts, and even has extra straps for you arms. There's even a pair of goggles and gloves to complete the ensemble. In this? In this you'll look positively psychotic. Everyone would know exactly what kind of scientist you are and what kind of science you stand for. That's right. The mad kind.